Look closely at the pictures in this captivating puzzle book, and discover the extra hidden details! A great way to delve into the stories of the Old Testament for children aged 4-10. A fully reproducible resource. 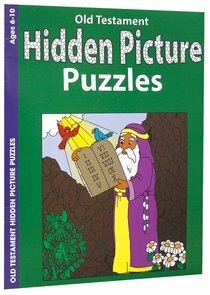 About "Old Testament Hidden Picture Puzzles (Ages 6-10, Reproducible) (Warner Press Colouring & Activity Books Series)"